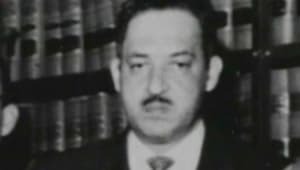 Before Rosa Parks, there were a number of others who resisted bus segregation and filed suit. 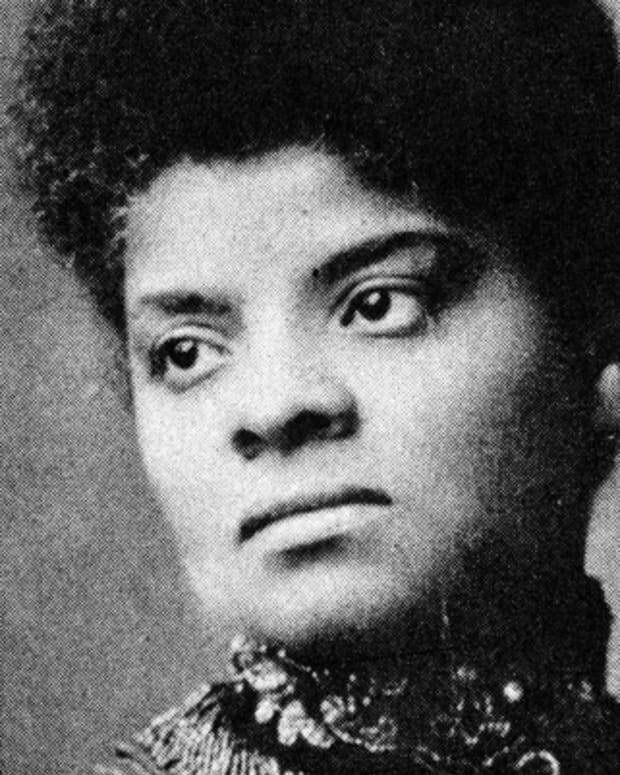 After her famous act, Parks lost her job and endured death threats for years to come. Upon Parks' death in 2005, she became the first woman to lie in honor at the Capitol Rotunda. Rosa Parks was a civil rights activist who refused to surrender her seat to a white passenger on a segregated bus in Montgomery, Alabama. Her defiance sparked the Montgomery Bus Boycott; its success launched nationwide efforts to end racial segregation of public facilities. As a leader of the civil rights movement, Rosa Parks received many accolades during her lifetime, including the NAACP's highest award. Rosa Parks was born Rosa Louise McCauley on February 4, 1913, in Tuskegee, Alabama. 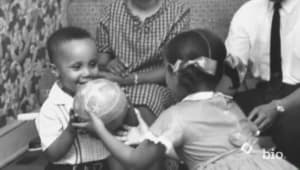 After her parents, James and Leona McCauley, separated when Rosa was two, Rosa’s mother moved the family to Pine Level, Alabama, to live with her parents, Rose and Sylvester Edwards. 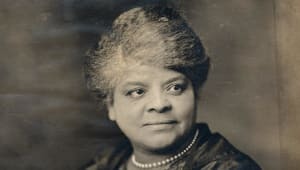 Both of Rosa&apos;s grandparents were former slaves and strong advocates for racial equality; the family lived on the Edwards&apos; farm, where Rosa would spend her youth. In one experience, Rosa&apos;s grandfather stood in front of their house with a shotgun while Ku Klux Klan members marched down the street. On December 1, 1955, after a long day&apos;s work at a Montgomery department store, where she worked as a seamstress, Rosa Parks boarded the Cleveland Avenue bus for home. She took a seat in the first of several rows designated for "colored" passengers. 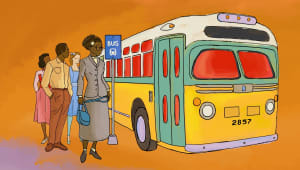 The Montgomery City Code required that all public transportation be segregated and that bus drivers had the "powers of a police officer of the city while in actual charge of any bus for the purposes of carrying out the provisions" of the code. 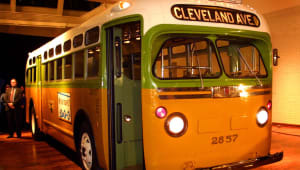 While operating a bus, drivers were required to provide separate but equal accommodations for white and black passengers by assigning seats. This was accomplished with a line roughly in the middle of the bus separating white passengers in the front of the bus and African-American passengers in the back. 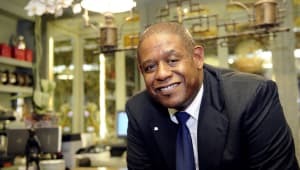 When an African-American passenger boarded the bus, they had to get on at the front to pay their fare and then get off and re-board the bus at the back door. As the bus Rosa was riding continued on its route, it began to fill with white passengers. Eventually, the bus was full and the driver noticed that several white passengers were standing in the aisle. The driver of Rosa’s bus stopped the bus and moved the sign separating the two sections back one row, asking four black passengers to give up their seats. The city&apos;s bus ordinance didn&apos;t specifically give drivers the authority to demand a passenger to give up a seat to anyone, regardless of color. However, Montgomery bus drivers had adopted the custom of moving back the sign separating black and white passengers and, if necessary, asking black passengers give up their seats to white passengers. If the black passenger protested, the bus driver had the authority to refuse service and could call the police to have them removed. 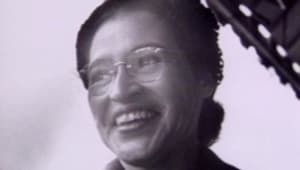 Three of the other black passengers on Rosa’s bus complied with the driver, but Rosa refused and remained seated. The driver demanded, "Why don&apos;t you stand up?" to which Rosa replied, "I don&apos;t think I should have to stand up." The driver called the police and had her arrested. Later, Rosa recalled that her refusal wasn&apos;t because she was physically tired, but that she was tired of giving in. 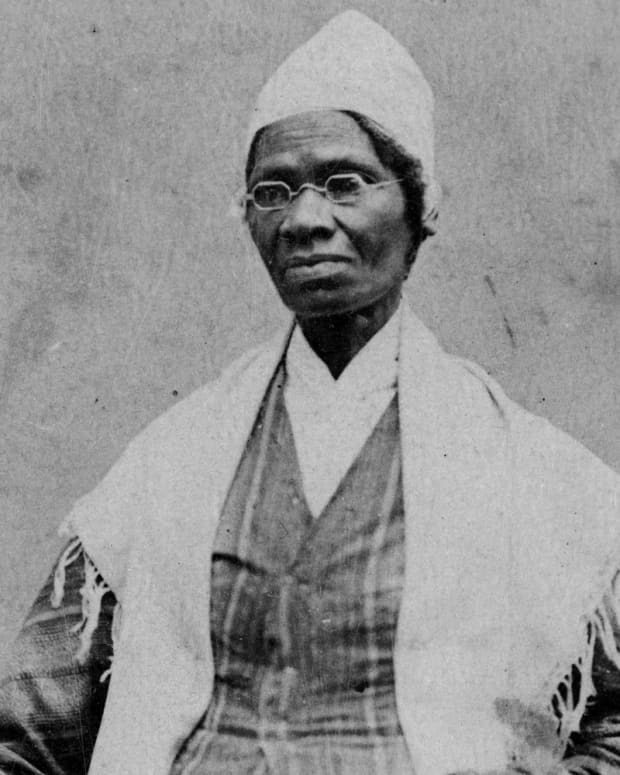 On the evening that Rosa Parks was arrested, E.D. 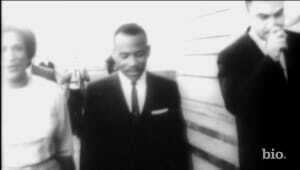 Nixon, head of the local chapter of the NAACP, began forming plans to organize a boycott of Montgomery&apos;s city buses. 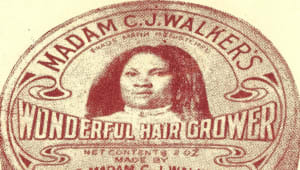 Ads were placed in local papers, and handbills were printed and distributed in black neighborhoods. 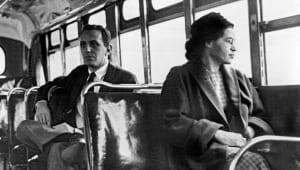 Members of the African-American community were asked to stay off city buses on Monday, December 5, 1955—the day of Rosa&apos;s trial—in protest of her arrest. People were encouraged to stay home from work or school, take a cab or walk to work. With most of the African-American community not riding the bus, organizers believed a longer boycott might be successful. 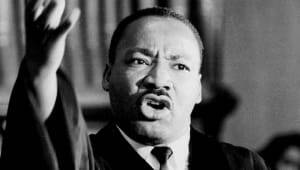 On the morning of December 5, a group of leaders from the African-American community gathered at the Mt. Zion Church in Montgomery to discuss strategies, and determined that their boycott effort required a new organization and strong leadership. 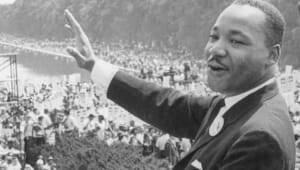 They formed the Montgomery Improvement Association (MIA), electing Montgomery newcomer Martin Luther King Jr. as minister of the Dexter Avenue Baptist Church. 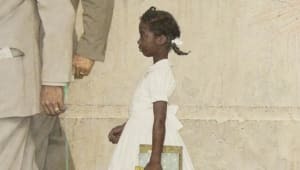 The MIA believed that Rosa Parks&apos; case provided an excellent opportunity to take further action to create real change. 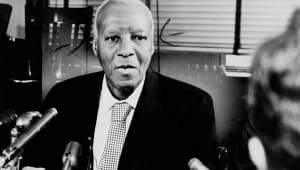 When Rosa arrived at the courthouse for trial that morning with her attorney, Fred Gray, she was greeted by a bustling crowd of around 500 local supporters, who rooted her on. Following a 30-minute hearing, Rosa was found guilty of violating a local ordinance and was fined $10, as well as a $4 court fee. Inarguably the biggest event of the day, however, was what Rosa&apos;s trial had triggered. The Montgomery Bus Boycott, as it came to be known, was a huge success, lasting for 381 days. The city&apos;s buses were, by and large, empty. Some people carpooled and others rode in African-American-operated cabs, but most of the estimated 40,000 African-American commuters living in the city at the time had opted to walk to work that day—some as far as 20 miles. Due to the size and scope of, and loyalty to, boycott participation, the effort continued for several months. The city of Montgomery had become a victorious eyesore, with dozens of public buses sitting idle, ultimately severely crippling finances for its transit company. With the boycott&apos;s progress, however, came strong resistance. Some segregationists retaliated with violence. 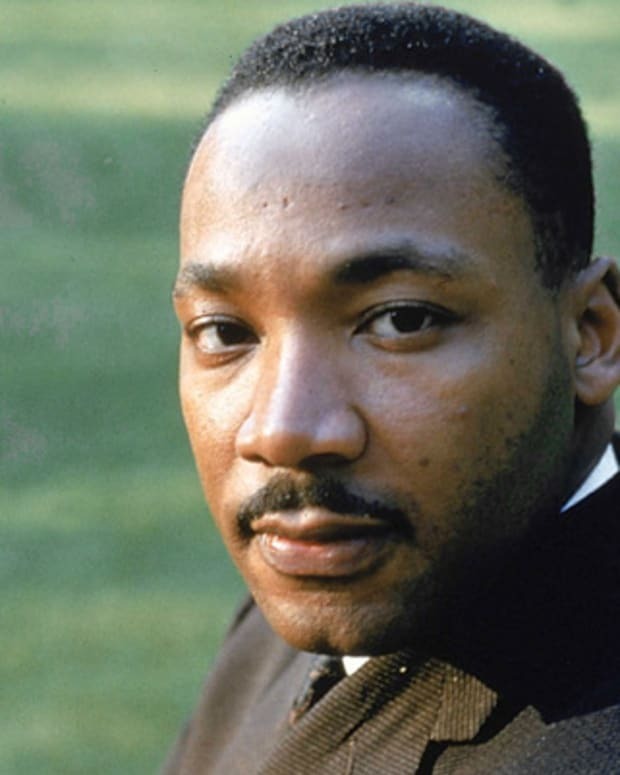 Black churches were burned, and both Martin Luther King Jr.&apos;s and E.D. Nixon&apos;s homes were destroyed by bombings. Still, further attempts were made to end the boycott. The insurance was canceled for the city taxi system that was used by African Americans. 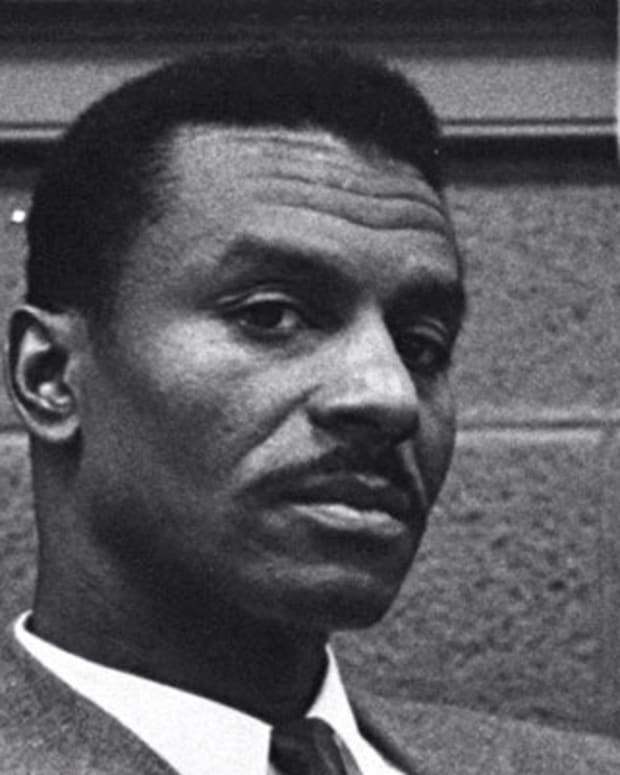 Black citizens were arrested for violating an antiquated law prohibiting boycotts. In response to the ensuing events, members of the African-American community took legal action. 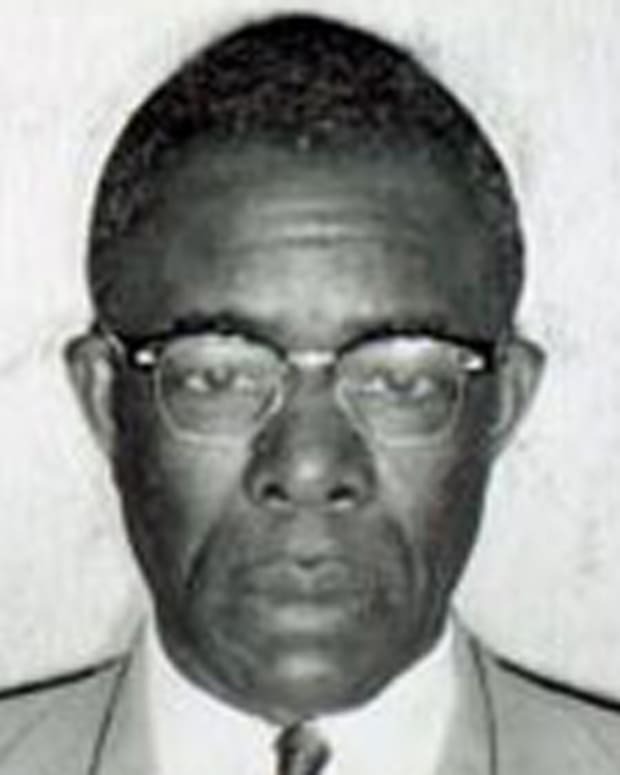 Armed with the Brown v. Board of Education decision, which stated that separate but equal policies had no place in public education, a black legal team took the issue of segregation on public transit systems to the U.S. District Court for the Middle District of Alabama, Northern (Montgomery) Division; Rosa&apos;s attorney, Fred Gray, filed the suit. In June 1956, the district court declared racial segregation laws (also known as "Jim Crow laws") unconstitutional. 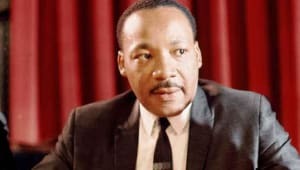 The city of Montgomery appealed the court&apos;s decision shortly thereafter, but on November 13, 1956, the U.S. Supreme Court upheld the lower court&apos;s ruling. 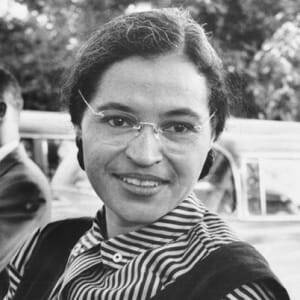 Rosa Parks&apos; childhood brought her early experiences with racial discrimination and activism for racial equality. 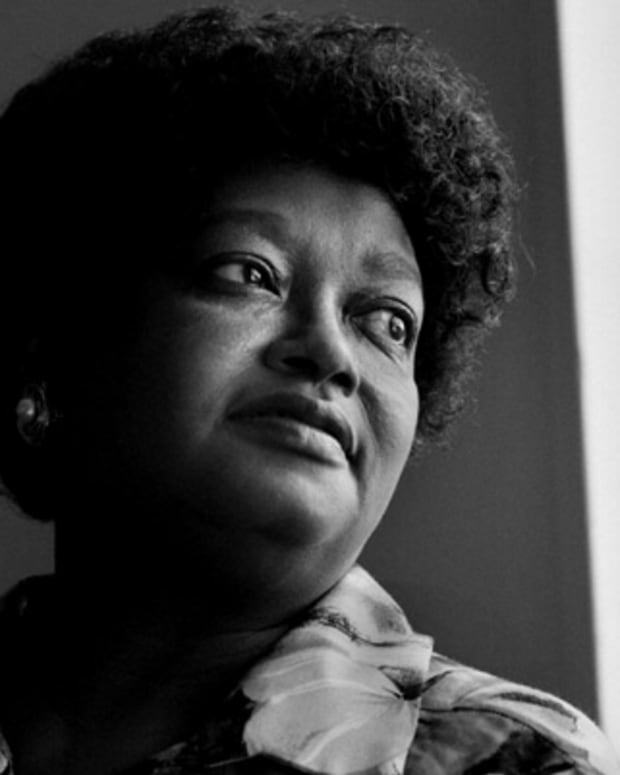 Taught to read by her mother at a young age, Rosa attended a segregated, one-room school in Pine Level, Alabama, that often lacked adequate school supplies such as desks. African-American students were forced to walk to the 1st- through 6th-grade schoolhouse, while the city of Pine Level provided bus transportation as well as a new school building for white students. Through the rest of Rosa&apos;s education, she attended segregated schools in Montgomery, including the city&apos;s Industrial School for Girls (beginning at age 11). 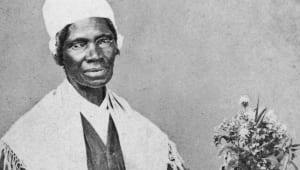 In 1929, while in the 11th grade and attending a laboratory school for secondary education led by the Alabama State Teachers College for Negroes, Rosa left school to attend to both her sick grandmother and mother back in Pine Level. She never returned to her studies; instead, she got a job at a shirt factory in Montgomery. 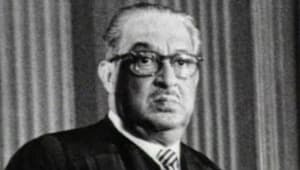 In 1932, at age 19, Rosa met and married Raymond Parks, a barber and an active member of the National Association for the Advancement of Colored People. With Raymond&apos;s support, Rosa earned her high school degree in 1933. 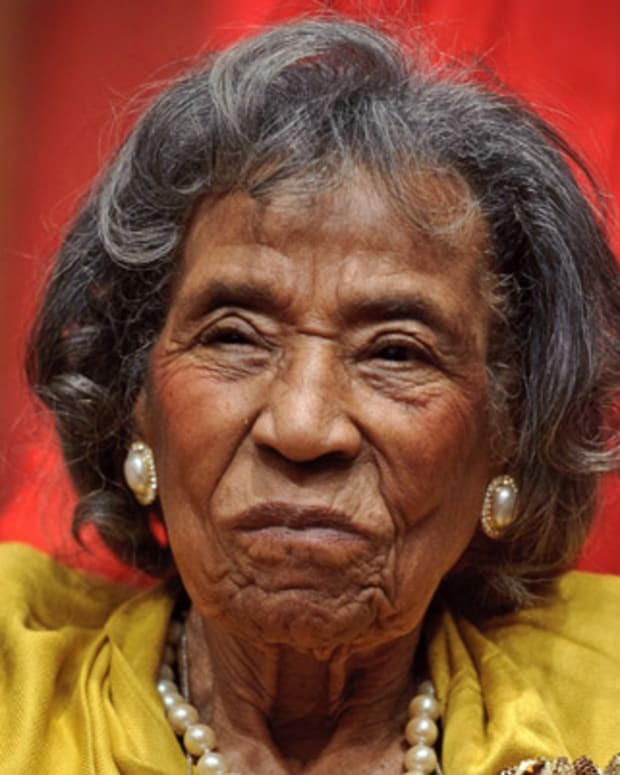 She soon became actively involved in civil rights issues by joining the Montgomery chapter of the NAACP in 1943, serving as the chapter&apos;s youth leader as well as secretary to NAACP President E.D. Nixon — a post she held until 1957. 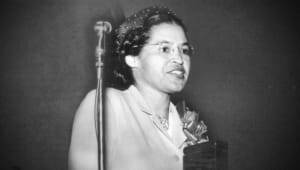 Although she had become a symbol of the Civil Rights Movement, Rosa Parks suffered hardship in the months following her arrest in Montgomery and the subsequent boycott. She lost her department store job and her husband was fired after his boss forbade him to talk about his wife or their legal case. 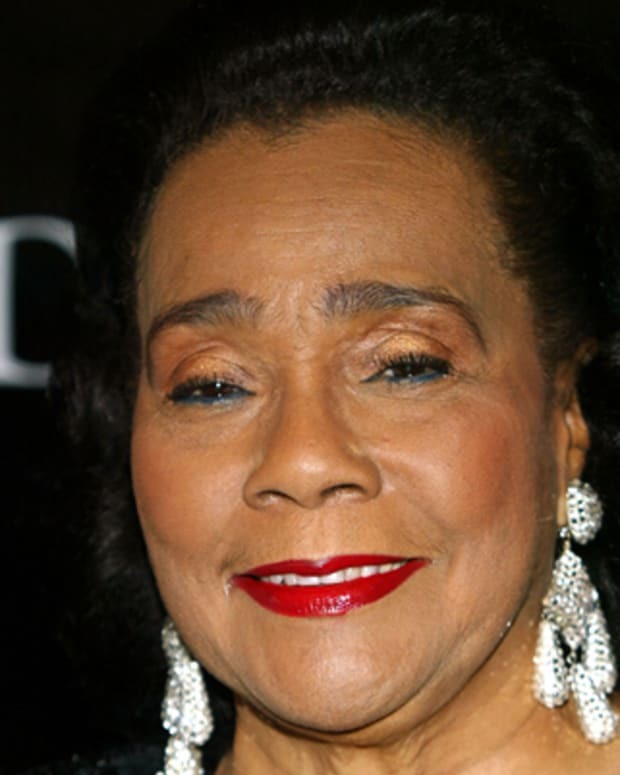 Unable to find work, they eventually left Montgomery; the couple, along with Rosa&apos;s mother, moved to Detroit, Michigan. There, Rosa made a new life for herself, working as a secretary and receptionist in U.S. Representative John Conyer&apos;s congressional office. She also served on the board of the Planned Parenthood Federation of America. In 1992, Rosa published Rosa Parks: My Story, an autobiography recounting her life in the segregated South. In 1995, she published Quiet Strength, which includes her memoirs and focuses on the role that religious faith played throughout her life. "Ah-ha, hush that fuss. Everybody move to the back of the bus." In 1999, Rosa Parks filed a lawsuit against the group and its label alleging defamation and false advertising because Outkast used Parks’ name without her permission. Outkast said the song was protected by the First Amendment and did not violate Parks’ publicity rights. In 2003, a judge dismissed the defamation claims; Parks’ lawyer soon refiled based on the false advertising claims for using her name without permission, seeking over $5 billion. On April 14, 2005, the case was settled. Outkast and the co-defendants SONY BMG Music Entertainment, Arista Records LLC and LaFace Records admitted no wrongdoing but agreed to work with the Rosa and Raymond Parks Institute to develop educational programs that “enlighten today&apos;s youth about the significant role Rosa Parks played in making America a better place for all races,” according to a statement released at the time. When Did Rosa Parks Die? On October 24, 2005, at the age of 92, Rosa Parks quietly died in her apartment in Detroit, Michigan. She had been diagnosed the previous year with progressive dementia, which she had been suffering from since at least 2002. 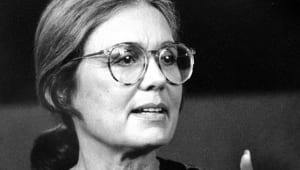 Her death was marked by several memorial services, among them lying in honor at the Capitol Rotunda in Washington, D.C., where an estimated 50,000 people viewed her casket. 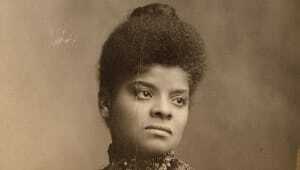 Rosa was interred between her husband and mother at Detroit&apos;s Woodlawn Cemetery, in the chapel&apos;s mausoleum. 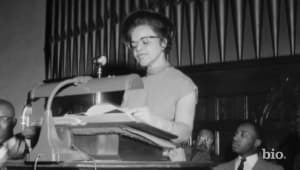 Shortly after her death, the chapel was renamed the Rosa L. Parks Freedom Chapel. In 2000, Troy University created the Rosa Parks Museum, located at the site of her arrest in downtown Montgomery, Alabama. In 2001, the city of Grand Rapids, Michigan, consecrated Rosa Parks Circle, a 3.5-acre park designed by Maya Lin, an artist and architect best known for designing the Vietnam War Memorial in Washington, D.C. A biographical movie starring Angela Bassett and directed by Julie Dash, The Rosa Parks Story, was released in 2002. February 4, 2013 marked what would have been Rosa Parks&apos; 100th birthday. In celebration, a commemorative U.S. Postal Service stamp, called the Rosa Parks Forever stamp and featuring a rendition of the famed activist, debuted. Later that month, President Barack Obama unveiled a statue designed by Robert Firmin and sculpted by Eugene Daub honoring Parks in the nation&apos;s Capitol building. 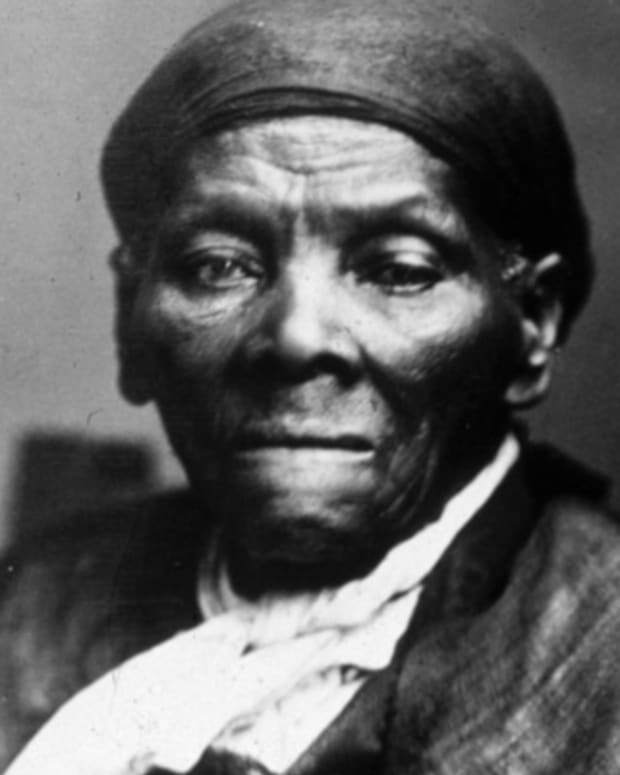 He remembered Parks, according to The New York Times, by saying "In a single moment, with the simplest of gestures, she helped change America and change the world. . . . And today, she takes her rightful place among those who shaped this nation’s course."